Home Chef has been on the market for half a decade and in that time, it has developed into a perfect example of what a meal kit delivery service should look like. It boasts a rich menu with fresh meal ideas available every week, the ordering process is quick and simple, the subscriptions are flexible, and the prices are more than fair. Learn more about how this renowned service can help you start cooking effortlessly and eating more healthily in this Home Chef review. Designed to make home cooking easy, Home Chef is a delivery service that provides original recipes and precisely portioned ingredients. It allows you to plan your meals in advance and reduces the time you spend in the kitchen to about half an hour. Every week, its culinary team crafts a vast array of interesting recipes that suit a variety of tastes and you get to pick the ones that you really want to try out. With just a few simple steps, detailed instructions, and no complex methods and techniques, the recipes are perfect for home cooks who want to cook with less effort and enjoy the whole process much more than usual. It is important to note that unlike many other services of its kind, Home Chef does not exclusively focus on dinner. Its menu includes exciting extras like refreshing fruity add-ons and lunches that requires no cooking whatsoever. Furthermore, the service allows you to customize your orders in a variety of ways. Instead of limiting your choice to several meal plans, Home Chef lets you freely choose the recipes in accordance with your diet and decide on the number of meal kits in your order and the number of servings you get per meal. It lets you order extra portions of your favorite dish, change or upgrade the main protein source in your meals, and simply tweak everything to your taste. Thus, Home Chef can be described as one of the most flexible meal kit services on the market. 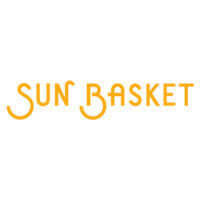 Just like Sun Basket, one of its main competitors, it is always working on new ways to improve its customers’ satisfaction and it achieves this goal rather masterfully. Home Chef offers 13 dinners, 3 lunches, and 2 fruity add-ons every week. You can order 2, 3, 4, 5 or 6 meal kits and cook for 2, 4 or 6 people. Your weekly deliveries include the recipes of your choice and the required fresh, pre-measured ingredients. The company’s dinners are designed to suit even the pickiest of eaters, ranging from meat and seafood options to vegetarian, gluten-free, soy-free, low-calorie, and low-carb dishes. Home Chef lunches give you the unique opportunity to quickly make a delicious lunch wherever you are. They are ready in just 5 minutes, no cooking required. Finally, if you are craving something fresh, healthy, and deliciously sweet at the end of the meal, you can grab a couple of add-ons that come in the form of refreshing fruit baskets and nutritious smoothies. Home Chef won’t ask you to commit for any particular period of time. Instead, it offers a flexible plan to suit everyone’s schedule. You can skip a delivery, edit your orders or cancel at any time, just be sure to make the desired changes before the weekly cutoff, which is at 12 pm (CST) on the Friday before the scheduled delivery day. If you like Home Chef and would like your loved ones to try it too, you can purchase a gift card in the amount of $60, $120, $240 or your own custom value, which they can use to order meals from Home Chef’s website. The minimum gift card value is $50. Home Chef also has its own marketplace where you can purchase kitchen dishes, utensils, and other tools needed to make its recipes. You probably already have most of these tools in your kitchen, but if you are missing something that can help you prepare even better meals, it is good to know that the service has you covered. 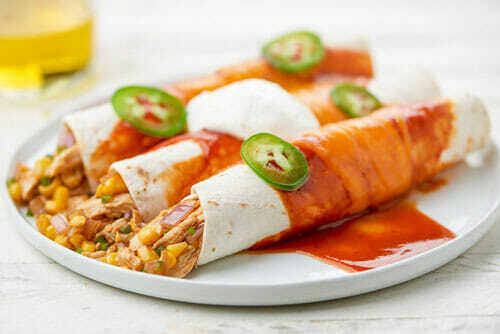 Home Chef is a delivery service that provides original recipes and precisely portioned ingredients. It allows you to plan your meals in advance and reduces the time you spend in the kitchen to about half an hour. Home Chef is one of the most environmentally conscious meal kit delivery services in America. It employs impeccable sourcing practices, carefully packs its kits, taking care of both food safety and eco-friendliness, and makes it easy for its customers to minimize their carbon footprint. Here are the steps Home Chef takes to contribute to the health of the planet. The service makes sure to honor its 3 R rules, including reducing, reusing, and recycling its packaging. Remember, when using pre-portioned ingredients, you also eliminate food waste and help preserve the environment. This is also reflected in the company’s policy of carefully choosing its suppliers, selecting only the most prominent ones who take care not to damage the ecosystem and show that same respect toward their employees. Home Chef’s website even allows you to “meet” a few of its suppliers – you can read a little about who they are, how they work, and what their standards are. In the spirit of environmental consciousness, Home Chef also advises you to recycle all the plastic parts you find in its delivery boxes. Its produce is always shipped in insulated, biodegradable boxes with water-soluble, cool gel packs designed to keep your food refrigerated, not frozen. 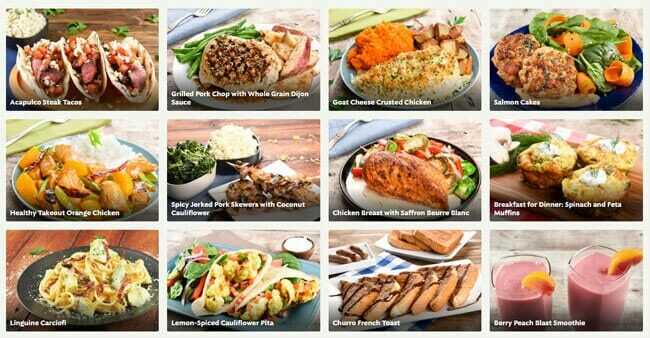 Home Chef offers 13 dinners, 3 lunches, and 2 fruity add-ons every week. You can order 2, 3, 4, 5 or 6 meal kits and cook for 2, 4 or 6 people. If you decide to register with Home Chef, you’ll be asked to fill out a taste chart, specifying what sort of ingredients you’d like to have in your meals. Home Chef offers one of the most detailed meal preference choices you’ll find, which it uses to build your taste profile. 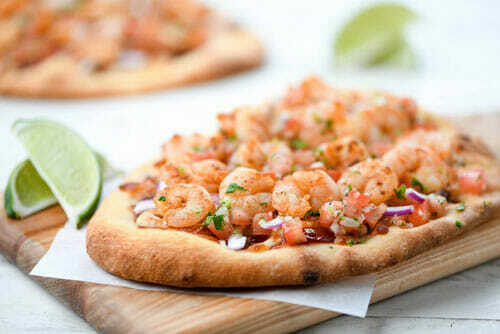 As far as dining preferences go, you start out by choosing meat, seafood, vegetables or any combination of those. You can then specify any ingredients you’d like to avoid; for example, you can choose not to eat pork, red meat, gluten, mushrooms, soy, nuts, dairy, shellfish or any combination of those. In addition, you can choose whether you prefer a low carb or low-calorie diet, both or neither. Obviously, this is especially useful for vegetarians or people with allergies. When you’re done choosing your taste preferences, you can choose whether you’d like 2, 3, 4, 5 or 6 meals per week for 2, 4 or 6 people. Compared to most meal kit delivery services, this is exceptionally flexible: instead of choosing a 2-person or typical family plan, you’ve got more choices. Afterward, you choose the day of the week you’d like your meals delivered – Tuesdays, Wednesdays, Thursdays or Fridays. In order to further improve its flexibility, Home Chef recently introduced a useful feature called Flexible Servings. This feature is available with select menu items and allows you to add 2 or 4 servings to a meal of your choice. Thus, if you are having friends over or just need more food, you do not have to modify your subscription. Instead, you can just get more servings for individual meals whenever you wish. On top of that, the service allows you to customize your meals. By choosing a menu item with the Customize It label, you get the opportunity to switch, upgrade or double the star protein in the recipe. Every week, there are 26 options to choose from, including poultry, red meat, fish, and veggie proteins. When your package arrives, just follow the step-by-step recipe cards. The preparation should be easy even if you do not have too much experience in the kitchen. Home Chef prices are around the industry average. They range from $4.95 to $9.95 and depend on item type (lunch, dinner or add-on). The prices are always the same regardless of how many kits and servings you purchase. Shipping is free on most orders. Having covered the basics, let us examine the company’s pricing in more detail. 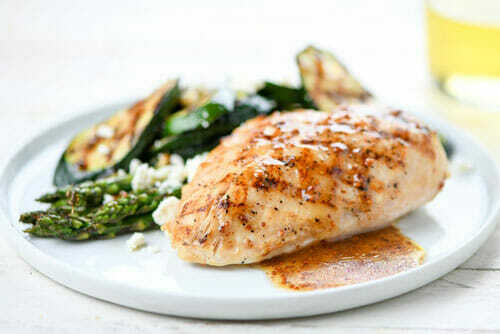 Its dinners cost $9.95 per serving and you can choose between 2, 4, or 6 serving options. The 5-minute lunches come at a lower price and cost $7.99 per serving. The good news is that you can order as many different meals as you’d like. You can even purchase fruit and smoothie add-ons for $4.95, as well as premium meals on occasion. These are special meals that are a bit pricier than the standard menu items, such as holiday specials, which include multiple sides and a desert. Next Christmas you might not have to spend time shopping for groceries and looking for recipes, as Home Chef has everything you need for the occasion. As far as delivery itself goes, it’s free of charge for orders over $45 but costs up to $10 for orders below that price. Unless you’re eating by yourself, you’ll probably end up ordering enough to get your food delivered for free. Taking all of this into account, we can say that Home Chef definitely has one of the most flexible payment plans on the meal kit delivery market. Home Chef ships its meal kits throughout the United States, with the exceptions of certain remote areas. Due to the relatively recent expansions, its delivery map no longer covers 90% of the US but instead includes approximately 98% of the country. Its delivery range will continue to grow, so in case your location isn’t supported yet, it probably will be in the near future. Just to be safe, you can enter your zip code on the company’s website to find out whether it delivers to your area. To make sure Home Chef meets all your standards and expectations, it is important to know its biggest advantages and disadvantages. With a short overview of its pros and cons, you can easily decide if Home Chef is the right meal kit service for you. If you subscribe to Home Chef, you can easily prepare culinary masterpieces using only the ingredients and recipes found in your meal kit box. You may not be a pro chef just yet, but with Home Chef, you can easily make restaurant-grade meals. You don’t have to take our word for it – check out the images below to get a better idea of the types of dishes you can enjoy with Home Chef. Home Chef has been in the meal delivery game for a while. But, even though meal kit delivery services are becoming more and more popular and competitors are stepping up, Home Chef does not only keep up, it offers some pretty neat features you probably won’t find with any other service. The ingredients are fresh and tasty and meal preparation rarely takes more than 30 minutes, with easy-to-follow step-by-step recipe cards to help you along the way. All in all, we were pleasantly surprised with what we found out while doing research for our Home Chef review. If you’re tired of ordering takeout or shopping for ingredients but still want a warm, home-cooked meal, then we certainly recommend you give Home Chef a try – we’re sure you won’t be disappointed. How to cancel Home Chef? Log into your account and select the Account Information tab. Choose the option to pause your account under the Delivery Details section. This will effectively cancel your subscription. To renew it, log back in and unpause at any time you choose. Where is Home Chef located? Home Chef is based in Chicago, Illinois. How to skip a week on Home Chef? In the Delivery Calendar tab of your account, select the week you would like to skip. At the bottom of the meal selections for that week, select the option to skip the delivery and confirm your choice. 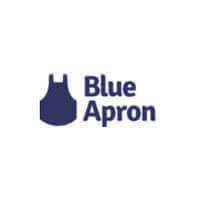 Which is better – Blue Apron vs Home Chef? Both are known for the quality of the ingredients they use, their quick-prep recipes, and the excellent service they provide. To see which of these meal kit delivery services better suits your needs, visit our Blue Apron vs Home Chef comparison. Where does Home Chef get their food? Home Chef is very careful when choosing suppliers. The company sources locally whenever possible. Its ingredients come from providers that employ the best sustainability practices. Follow this link to discover more about Home Chef suppliers. What kind of meals does Home Chef have? The Home Chef weekly menu always includes omnivore, vegetarian, carb-conscious, and calorie-conscious recipes, with various options for customization. Subscribers can choose between 2, 3, 4, 5 or 6 meals per week for 2, 4 or 6 people. Kroger, an American retailing company, acquired Home Chef in 2018. How long can Home Chef sit outside? Home Chef ships ingredients in an insulated box with cold packs that keep your food fresh. Your food should remain fresh during transit and several hours after delivery. It is best to put your ingredients into the fridge immediately upon arrival. How is Home Chef delivered? Home Chef ships fresh ingredients in a biodegradable, insulated box with cool gel packs designed to keep your food refrigerated, not frozen. Boxes are delivered Tuesday through Friday. For orders over $45, shipping is free. Otherwise, it costs $10. How long does it take to prepare a Home Chef meal? Generally speaking, Home Chef recipes for dinners can be prepared in 30 minutes or less. The company also offers lunches that you can prepare in just 5 minutes. How much does Home Chef cost per week? Depending on the number of meals per week (you can choose to receive 2, 3, 4, 5 or 6 meals), prices range from $39.80 to $119.40 for 2-person meals. For 4-person meals, you pay from $79.60 to $238.80. For 6-person meals, you pay from $119.40 to $358.20. How much is Home Chef per month? Depending on the number of meals per week (2, 3, 4, 5 or 6 meals), your monthly costs range from about $160 to $480 for 2-person meals. For 4-person meals, you pay from $320 to $955 a month. Six-person meals will cost you from about $480 to $1,435. Our ratings are the result of an objective and independent evaluation of Home Chef, generating the final rating that reflects the overall quality of the company. Ratings may change as the service changes. Home Chef customer rating based on 106 customer reviews. Two of the last three boxes completely warm and spoiled upon arrival. I luckily noticed while my daughter was unpacking, but if I didn't we'd be sick! The "pause" button on the web site is intentionally tricky. It seems like you cancelled, but they keep sending you food. By the time you find out (a warm box of food arrives a day late), you have to pay for at least two more orders you don't want (or didn't pick out). This is because the next order is locked before you receive the first order, and so they really design everything to get you. They compete on price, not quality, so they take every possible short cut, including ice and packaging. Unfortunately, when you don't know your account is not cancelled they pick out gross meals to send, such as tofu and beets. I finally figured you have to go through 4 or 5 screens before they really cancel the account. But, I still have to pay for another box they "finalized" and will surely get here spoiled. This is the worst of the food services I have tried. I am not sure what was worse with this company the food or the customer service. I don't normally leave bad reviews but I feel compelled to do so in this case because my husband was super sick from the shrimp in my second box. I only received two shipments from this company, the first box had moldy corn in it and customer service took 4 days to get back to me about it with nothing more than a hey we are sorry about that. I canceled my subscription but not before then second box shipped. In my opinion they do not package their food adequately so the shrink wrap on the fish and shrimp was not vacuumed sealed when it arrived. That should have been my clue to through it away. The shrimp pad thai was tasteless other than the flavor of questionable shrimp. My husband only ate 4 or 5 bites and decided it was not worth taking the chance to finish, good call on his part or he may have ended up in the hospital instead of the bathroom all night. Needless to say I threw out the rest of the meals after that, what a waste of money. If I could give this company less than one star I would. Customer service terrible, food quality terrible, flavors in meals terrible. I have tried a few meal delivery service companies and this is the worst by far. Overall I'm happy with Home Chaf, but recently my boxes have been arriving a bit damaged (some of the ingredients too). I guess this is the courier's fault, but Home Chef should do something about this and make sure we all get our boxes in perfect condition. Other than this, the service is excellent. i'm a long time home chef customer and i just wanted to tell everyone thinking aobut subscribing to do it!!! you won't regret it, home chef is a dream come true if you want to cook but don't really know how or don't have enough time. all the meals i made following home chef recipes were so delicious that i was even asked a couple of times if i ordered food from a restaurant. home chef is that good! don't listen to the bad reviews, those are people who obviously don't know how a meal delivery works or are unable to follow simple recipes!!! Whoa! Home Chef sure is awesome! This is my first experience with meal deliveries and I I'm so happy with the outcome! The first week went great. The box was delivered on time, the packaging was good, the ingredients fresh, the recipes simple to follow...I just can't believe meal deliveries are this good! Thank you Home Chef! I am a very beginner cook so thought this service would be helpful and my review is through that lens. I have tried two other services so have now had time to compare. I had a Monday delivery. There are a few things to note. Instructions are not always clear (I have notes all over the recipes cards) and the timing of cooking is not within 30 minutes and there are some items cooked before others. The fresh fruit and veggies are not the freshest quality, had bruising and do not last as long as other companies making it impossible to stretch cooking to over five days instead of 3 in a row. Also the sizes can be really off in the veggies in particular and the recipes do not give other measurements (i.e. cup or weight) to help. The meat requires more "trimming" and had some bone in one piece - definitely not as well done as others. Requires alot more pots and pans and coordination than other services. At the end, the flavours of all three meals I tried was generally so-so and unbalanced. So, with more effort, more time, less quality ingredients and generally less tasty meals, this service wouldn't be my first choice. I came away feeling you get what you pay for and these meals are definitely not for beginner cooks. We found 1 verified Home Chef discount for April, 2019. 3 Free Meals Enjoy 3 Free Meals with Home Chef! Sign up and we’ll let you know about future Home Chef promo codes. If you like Home Chef but aren’t sure whether they are truly the ideal choice for you, you may want to take a look at our comparisons below to discover if one of their competitors is more suitable for you.